The Mercedes-Benz new G-Class inspired concept, GLB is going to be unveiled soon at the Shanghai Motor Show 2019. And before that Mercedes-Benz has recently revealed some pictures of the car. 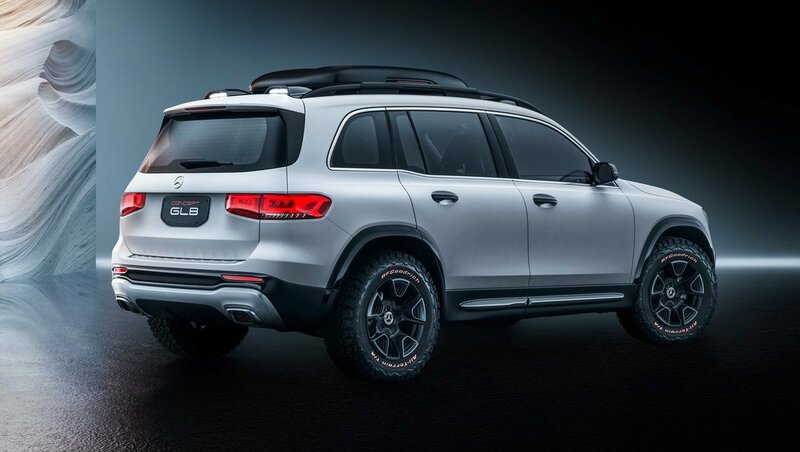 The Mercedes-Benz GLB production model which is scheduled to go in production later this year will closely follow the GLB concept. The exterior of the concept GLB has a rugged boxy look with a chunky grille and a large Mercedes logo on the front with chrome accents. The glass roof has two auxiliary lamps and a luggage box and roof rails. The sides have black cladding on the door and wide black wheel arches. 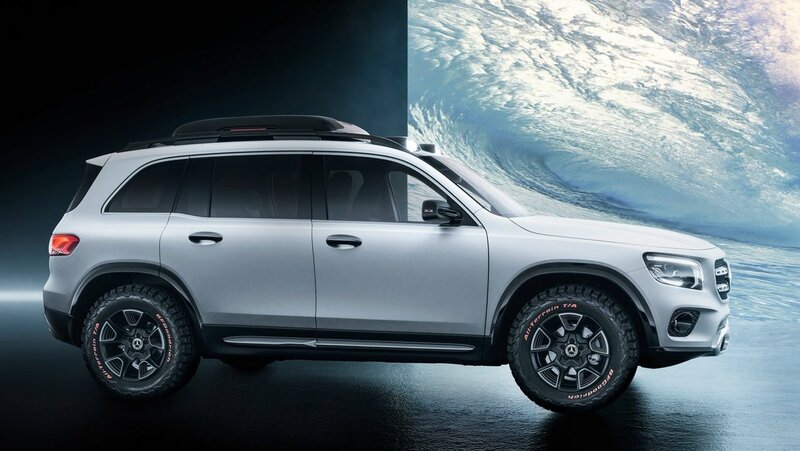 The concept GLB appears to have alloy wheels with all-terrain tyres. The interiors of the Mercedes-Benz concept GLB have two-tone leather upholstery for the seats along with walnut colour with aluminium trim on the dashboard. It has a large floating infotainment system at the centre, operated via a touchpad and just below that, are three large air-conditioning vents. 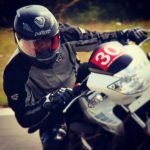 The instrument cluster is a fully digital colour display and can be customised. The centre console is designed neatly with minimalist approach. The concept GLB is expected to be powered by a 2.0-litre, 4-cylinder, turbocharged petrol motor which could produce 224 HP and 350 NM of torque. The other engine can be a diesel 2.0-litre, turbocharged, 4-cylinder likely to produce 150 HP and 190 HP. And another 306 HP & 400 Nm powered AMG variant may be the top-spec model. All the models will come with an 8-speed dual clutch gearbox. Mercedes-Benz may also introduce a plug-in hybrid version in due course of time. The Mercedes-Benz GLB concept is 4643mm in length, 1890mm in width and has a wheelbase of 2829mm. In India, the GLB will compete with the likes of the Audi Q3, Volvo XC40, BMW X1. The Mercedes-Benz Concept GLB will go in production by the end of this year. 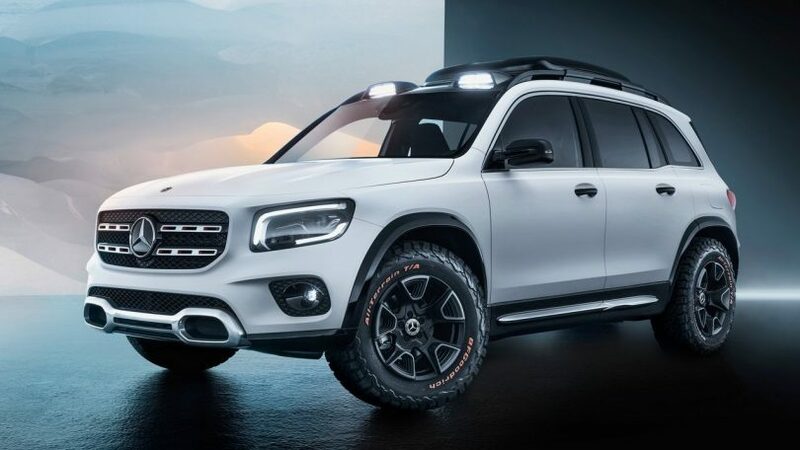 The Mercedes-Benz GLB concept, when it goes in production will start from close to INR 40,00,000 ex-showroom.